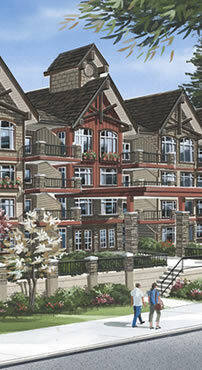 Madison Crossing is downtown Langley's new luxurious 62 unit condominium development. Packed with features (check them out) you`ll love the quality choice in finishings, the truly functional layout, and excellent proximity to everything. Pricing is exceptional -- visit us today! On-site Show Suite is now open 2-5pm daily! or fax us at 604.514.2389, or email us at madisoncrossing@quadrahomes.com.